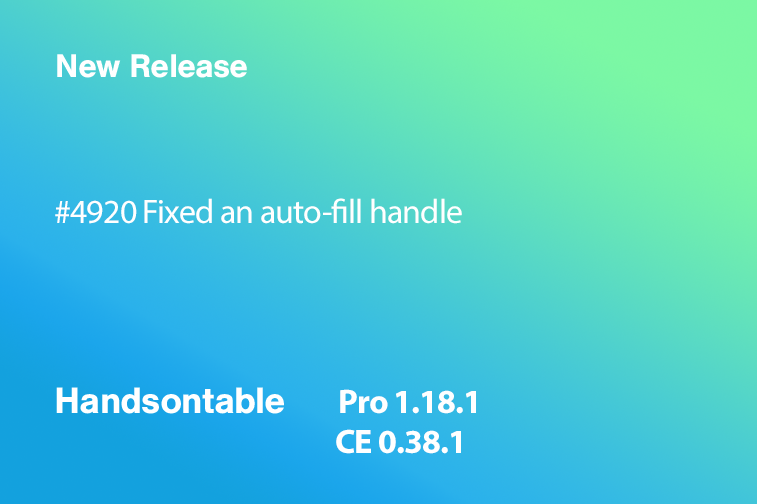 This new version 1.18.1 (Pro) / 0.38.1 (Community Edition) provides a fix for a bug that was responsible for displaying multiple auto-fill handles (a small square in the bottom right corner of a cell). The bug was visible only when the selection was made between frozen and non-frozen layers. Follow us on Twitter to keep up to date with all updates on Handsontable. We appreciate all of your suggestions that help us to improve Handsontable. You can leave a comment or write to us. An expert in research and analytics. She also used to run her own e-commerce business.